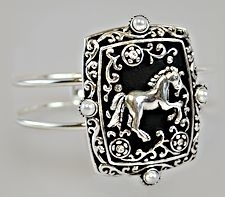 This hinged cuff bracelet features a silver finish with a black background behind a prancing silver horse and fancy scrollwork. 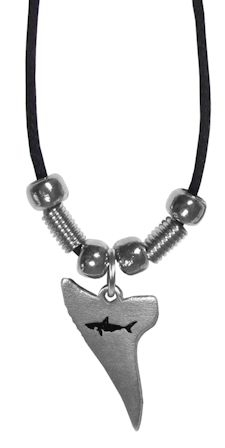 It also has a white pearl on each side of the bracelet face. 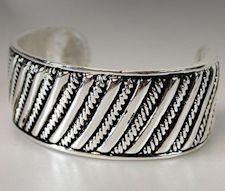 The face of the bracelet is approximately 1.75" x 1.5" (4.4 cm x 3.8 cm) and measuring the band of the bracelet from side to side on the longest side is 2.75 inches (7 cm). This bracelet is hinged for ease in putting it on and taking it off.